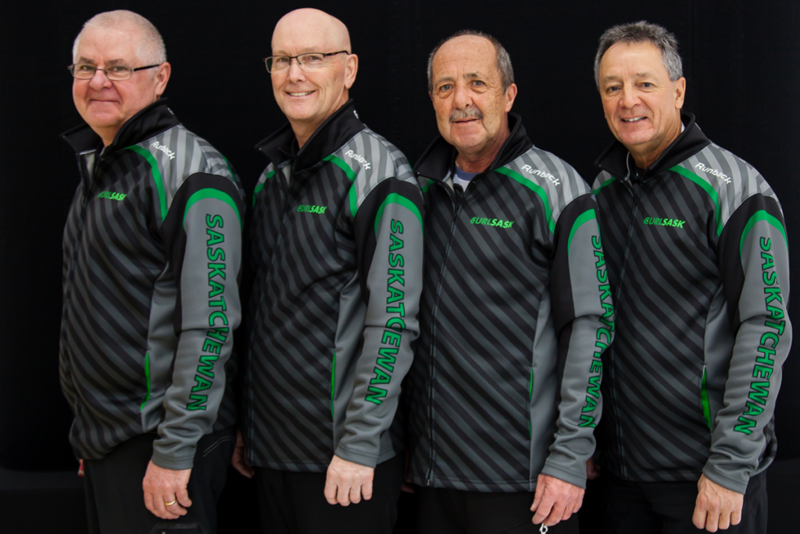 Team Syrota represented Saskatchewan for the third straight year at the Canadian Masters Curling Championships. But a bit of a different lineup this year compared to last as they welcomed second June Campbell of Wynyard to replace Donna Liebrecht of Yorkton! Team Syrota has had a remarkable past three competitions at the Canadian Masters, where in 2017 they came away with a gold medal, followed by a tough loss in last years final game to the home province of British Columbia, bringing home a silver medal. But at this years championship up at the Saskatoon Nutana Curling Club, they along with the other two Saskatchewan teams were excited to compete as the “hometown” province! They finished a top of the Pool B standings with a 5-0 record, securing them a spot into the Championship Pool. Where they carried on their winning ways adding four more wins to bring their total record to 9-0 and the first place seed heading into the playoffs! There they faced off against New Brunswick (4th seed) taking a convincing 7-0 victory. The gold medal game was then set, once again between the provinces of Saskatchewan & British Columbia (although B.C. had a different lineup this time around). A back and forth game that came right down to the wire, where Team Sask found themselves trailing by two points coming home! They sure enough scored the three points they needed in the 8th and final end to win the Canadian Championship!!! Job well done ladies! L-R: Delores Syrota, Bev Krasowski, June Campbell & Sylvia Broad ~ 2019 Canadian Masters Women’s Champions (Photo Courtesy Kelly Faber). 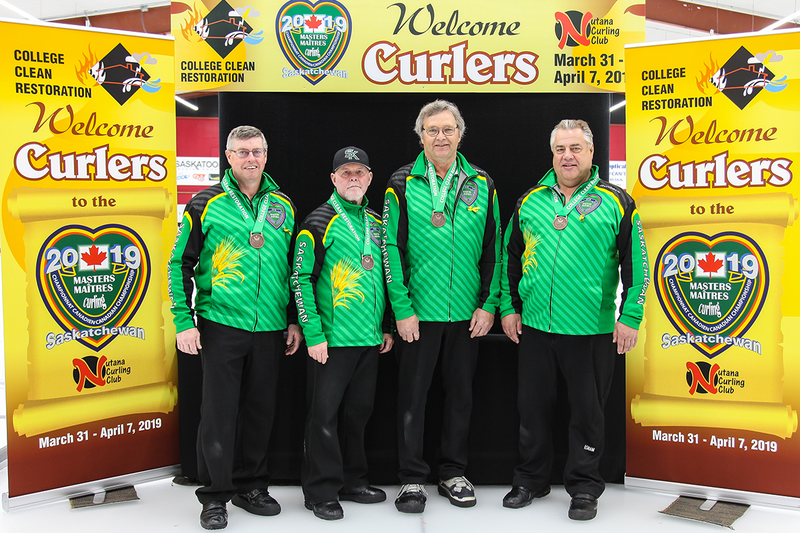 L-R: Dan Ormsby, Jim Wilson, Terry Marteniuk, Brad Heidt ~ 2019 Canadian Masters Men’s Bronze Medalists (Photo Courtesy Kelly Faber). Brad Heidt has claimed many green jackets over his extensive curling career, at various levels too, including in the Men’s & Senior Men’s Championships! But this time around it will be the first time he represented the green & white at the Masters level! Brad, Terry, Randy & Dan put this team together for the first time this season and it proved to work out well where they went 6-1 in Watrous at the provincial! Team Heidt then welcomed a member of Saskatchewan’s last Brier Champions, Jim Wilson to the team as second Randy Graham had prior commitments during the Canadian Masters Championship! 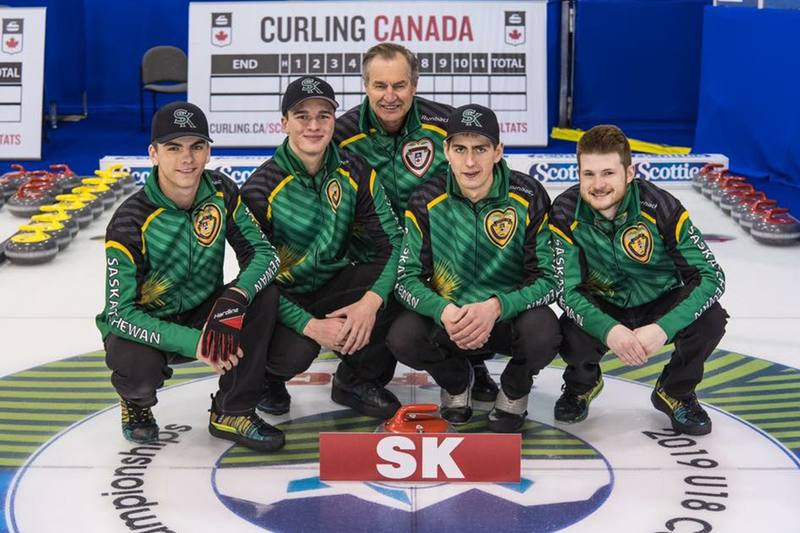 Heidt and the rest of Team Saskatchewan got off to a hot 5-1 start in Pool A on the men’s side, earning them a spot into the Championship Pool, where they ended off with a 9-1 record tied for first place with Alberta. As the semi-finals rolled around Saturday afternoon, they came up against former Canadian Masters Champion and Northern Ontario curling legend Al Hackner. Where Northern Ontario put up a big score of four in the 7th end to break the 3-3 tie, and take the eventual final of 7-3! It was not over yet for Team Heidt as they had a chance to clinch a bronze medal, and in the end defeated Team British Columbia 9-3! Congratulations gentlemen! The Peter Thiele rink out of the Regina Highland Curling Club earned the Team Saskatchewan Host spot on the men’s side due to their finalist result at the 2019 Masters Provincial Championship. In this years Canadian Championship, due to the odd number of teams on the men’s side, is the reasoning why there was only a Host Men’s team and not a Host Women’s team. Thiele and the rest of Team Saskatchewan were placed in Pool B to start off the week, having a couple one & two point losses to Northern Ontario & Ontario, that may have sneaked them into the Championship Pool! Nonetheless, they finished with a 2-4 record and a spot into the Seeding Pool. 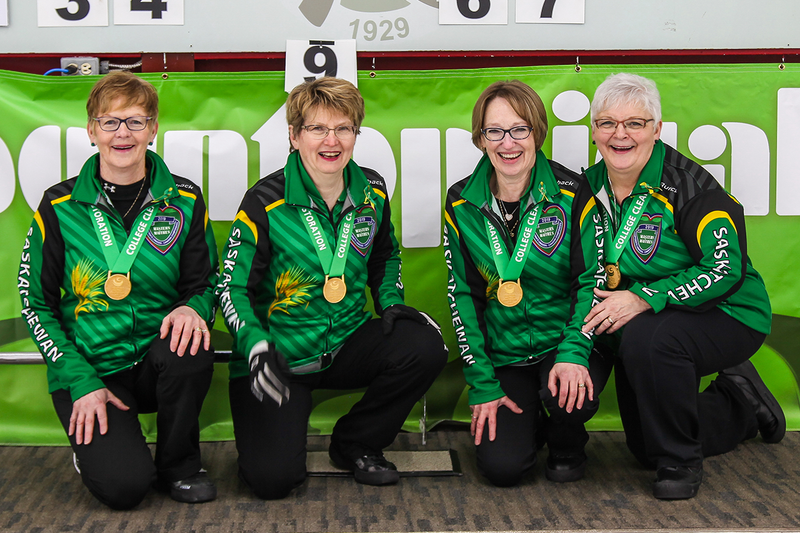 There they went on a fantastic run winning their final three games of the event, defeating Prince Edward Island, Northwest Territories & Newfoundland & Labrador! Congratulations on a great week gentlemen! L-R: Peter Thiele, Bill Weppler, Daryl Kraft & Rick Beattie ~ SK Men’s Host Team (Photo Courtesy Kelly Faber). L-R: Emily Haupstein, Shayla Moore, Clare Johnson, Emma Wiens & Abbey Johnson ~ Weyburn Curling Club (Photo Courtesy Infinity Eye Photography). It was the first time for Team Haupstein representing the green & white at a national championship! And they did not disappoint!! The girls started the week off in Pool B, and got off to a bit of a rough start dropping their first two games to Prince Edward Island & to the eventual Canadian Champions Northern Ontario. But these four young ladies went on a great run to finish off Pool Play by winning their final four games, booking them a spot into the Championship Double Knockout Round! Two great final games for Team Saskatchewan where they lost a tight battle to New Brunswick 7-5, and another close one to Team British Columbia 7-6. A fantastic job girls in representing our province and being such great ambassadors for our sport!! A familiar spot for Team Jayden Bindig and his team out of the Wadena Re/Max Curling Club, where they competed one year ago at the 2018 U18 Boys Canadian Championship out in Miramichi, New Brunswick! The boys were hoping for a different result than last year as they managed to drop to the seeding pool, and did they ever turn things around this season! 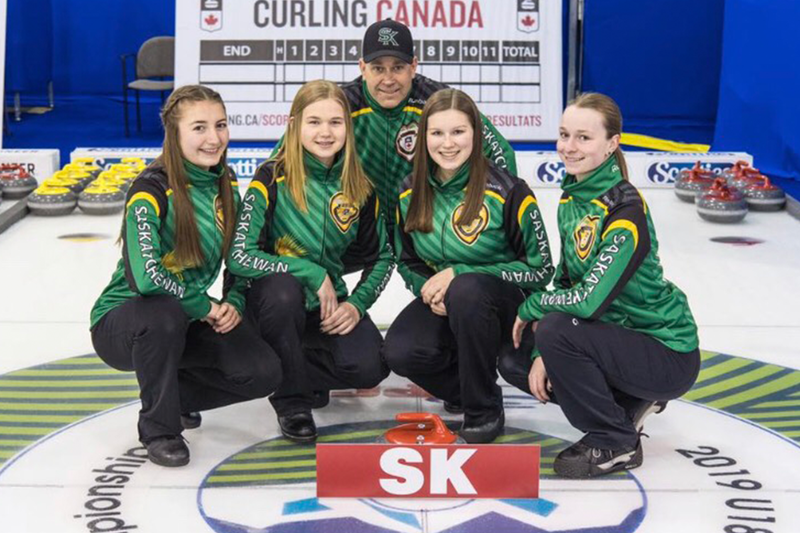 Team Saskatchewan started off in Pool B, and got off to a hot start where they won their first three games against Newfoundland & Labrador, Alberta (Host) & Prince Edward Island. Even though they finished off Pool Play with a 3-3 record, it was still good enough to earn a spot into the Championship Round. There they dropped a tough first game to Team British Columbia 7-3, after hopping out to a 3-2 lead heading into the 6th end. But rebounded nicely giving Team Nova Scotia a run as an extra end was needed, but Nova Scotia still came away with a 7-6 victory. Congratulations and job well done boys! L-R: Jayden Bindig, Nathen Pomedli, Verne Anderson, Braden Fleischhacker & Ethan Nygaard ~ Wadena Re/Max Curling Club (Photo Courtesy Infinite Eye Photography).